Some said you could not build a high quality yacht at a competitive price in North America. Well, someone forgot to tell the Marshall Family! 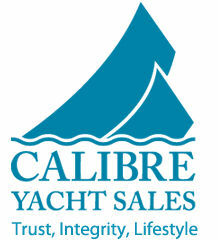 They built top quality yachts - the Californian and the Navigator - for over forty years. Wonderful yachts with solid fiberglass hulls, built with the rigors of the Pacific Northwest in mind. From this tradition came "Continuance" a 1983 Californian 50 Long Range Cruiser. The past owners have spared no expense in maintaining Continuance to a high standard.. A mystical yacht with a history and stories to tell in the fading light of the setting sun. For a great cruiser or a marvelous live aboard ¦come visit Continuance. Returning forward past the helm, down a couple steps are the second head, guest cabin, and VIP V-Birth cabin. As with the rest of the yacht there is ample storage, cupboards, closets and drawers. Of course warm teak veneer and solid teak trim as elsewhere on the yacht create a wonderful welcoming feeling. .
A 50’ LR Cruiser with an unbelievable price! The owner is very motivated. Davits - Dayton electric lifting arm davit system. With a 14 foot 9 inch beam and 50 foot length Continuance gives you more room than many small apartments or condos. With an outdoor stern deck, a roomy bow deck and a fabulous fly-bridge Continuance makes for a great live-aboard! Two Caterpiller 3208 Turbo diesel engines producing 310 horsepower each. Port engine 4387 hours. Starboard engine 3968 hours. Engine instruments...tachometer, oil-pressure, coolant temperature, charging amps, engine hours, fuel level, fuel flow gauges and exhaust pyrometers. The exhaust system is water cooled with flexible piping and mufflers. The cooling system is fresh water via engine mounted heat exchangers. There are a total of six fuel tanks with a capacity of 2,280 litres. Continuance has two potable water tanks with a total capacity of 1,045 litres. The hot water is a 75 litre Raritan with AC electrical and engine coolant coils. Moorage is available in Campbell River.